McIntosh MXA60: Its completely lifestyle product which enhance your lifestyle and fill life with music. MXA60 is a hi fi music system and comes with big loudspeakers. 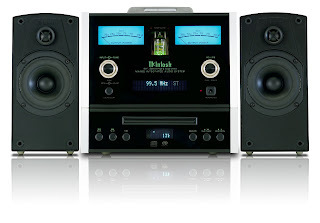 mxa60-backThe hybrid preamplifer sports tubes, input switching (both balanced and unbalanced inputs are accepted), tone controls, 24-bit, 192kHz sampling Burr Brown DACs, and more. The solid state input circuitry is designed to eliminate noise with the vacuum tubeassisted line stage provides that classic sound that McIntosh (and tube) lovers crave.